Don't work against a person, Sinha had urged – work to change ideas. When Mukul Sinha moved to Ahmedabad in 1973, he had no intention of staying in Gujarat. He was 22 years old and he found the city disorientating. He was content with a bachelor’s degree but his father filled out an application to a master’s program at the Indian Institute of Technology in Kanpur. “I really have no idea how I got in. I was sort of drifting and I did not really like IIT. All my friends there were aspiring to move to America, but I never shared that ambition. Did we struggle for our independence so we could take the first chance to move out of India?” Sinha said. In 1979, Sinha completed his PhD and accepted a research position in the school’s laboratory. But his life changed soon after. “I will never forget the date: September 13, 1979. One hundred and thirty three people were laid off from the university,” Sinha said. In response, Sinha formed a labor union and began fighting for workers’ rights. A few months later, Sinha was let go as well. 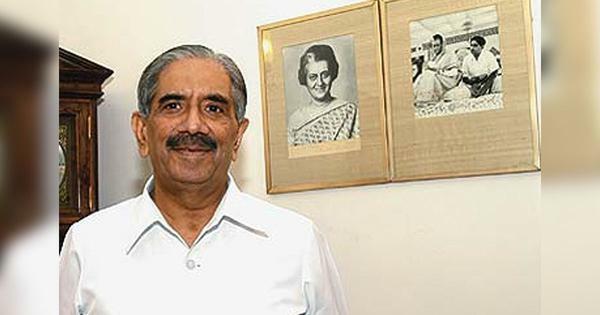 A year after he graduated law school in 1990, Sinha co-founded the Jan Sangharsh Manch, a group dedicated to labour issues. One of their first projects was to help unionise bus drivers in Gujarat. “None of us had any experience, but I think we gave some people a good scare,” Sinha said. As an activist, Sinha learned that the most important thing was to listen and to be willing to re-invent himself, something he did when LK Advani began his Rath Yatra in 1990. “What this bugger [Advani] was doing was to distract people. I knew from my experience in labour organising that the real issue is inequality—not building another mandir or masjid,” Sinha said. Over a decade later, Sinha found himself confronting the same problem. On February 28, 2002, the day after the Godhra train attack, a member of JSM named Syed came to Sinha with tears in his eyes. Sinha, whose office in a Muslim building in Ahmedabad was burned down the same day, was shaken. Sinha was also mistrustful of the term leader because his whole life was dedicated to finding new voices and empowering them. During the many times I visited Sinha, I met some of Gujarat’s most respected judges, journalists, and activists. But just as often, I also met bus drivers, railway workers, and labourers, each of whom Mukul was training. This was perhaps his finest quality—he taught others and amplified their voices, even if it meant muting his own. As his lung cancer advanced in the past six months, it was Sinha who always cheered us up, not the other way around. When I visited his house with several journalists this December after the Gujarat chief minister Narendra Modi was given a “clean chit” in the Zakia Jafri case, Sinha told us stories from Alice in Wonderland to help us understand the ruling. “You know emotion is not an argument that holds up in court,” Sinha reminded us. This is what set Sinha apart—he was a gentle, loving friend with unwavering commitment to his cause yet he also understood that passion, when misplaced, can as easily blind as it can guide. “Yes, speak with your heart, but make sure your tongue is clinical,” he was fond of saying. Since his death on Monday, I have received messages from friends who tell me the timing is eerie, just days before the Lok Sabha’s results are announced. “It is probably better that Mukul did not live to see Modi become prime minister,” one friend wrote to me.